Kick back in the rustic elegance of the 30,000 square-foot private clubhouse, where family and friends meet in true western comfort. 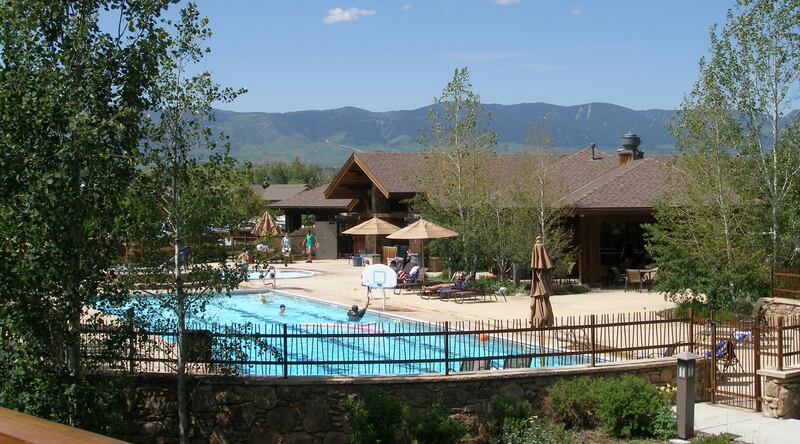 Amenities include a pro shop, Powder Horn Grill, and the Cowboy Bar, expansive patio with fire pit, and meeting rooms. Enjoy fresh and creative cuisine served against a backdrop of incredible golf and mountain views. Powder Horn Club Members also have exclusive access to luxuriously appointed locker rooms with lounges, bag storage, and card rooms. Our pool facility boasts a lap pool, therapy spa, and children’s pool, as well as changing rooms, and a snack grille. The fitness center features state-of-the-art exercise equipment. Two tennis courts complete the amenities. Members also have access to on-site fishing in Little Goose Creek and our stocked ponds. The Powder Horn Golf Club is proudly managed by Troon Prive Golf, the world's leader in private golf course management and operations. The Powder Horn Golf Club and Community from The Powder Horn on Vimeo.